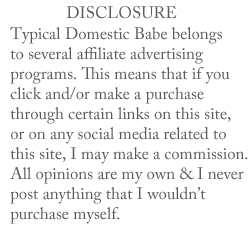 Typical Domestic Babe: Sale Alert - Shopbop Sale!! Hey chicas! Today marks the first day of the Shopbop friends & family sale! Shopbop is definitely up there on my list of favorite websites, and although the majority of their items can be on the pricier side, the friends & family event that they have a few times per year is a great opportunity to stock up on designer denim, luxe Vince knits, perfectly fitted Eqipment blouses, and killer dresses all for 25% off. If there is one thing I've learned about shopping this sale it's that if you're on the fence about a certain item, buy it! Most of the good items sell out lightening fast, and with Shopbop's free shipping/ free returns policy it's basically risk free to test drive anything out. Below I've featured my top picks for the sale. Click on any image to be view product info, or to be directed to the Shopbop website. Happy shopping! I love that they offer free shipping & free returns - makes shopping that much better! Hey Andy! It's funny, I actually JUST purchased something off Shopbop with the 25% code. (I bought the Jacquie Aiche "JA Bezels Rosary Necklace" in silver). Who doesn't love a good sale, right? I hope you'll be showing us what you got, you always have the best picks and the best outfits!